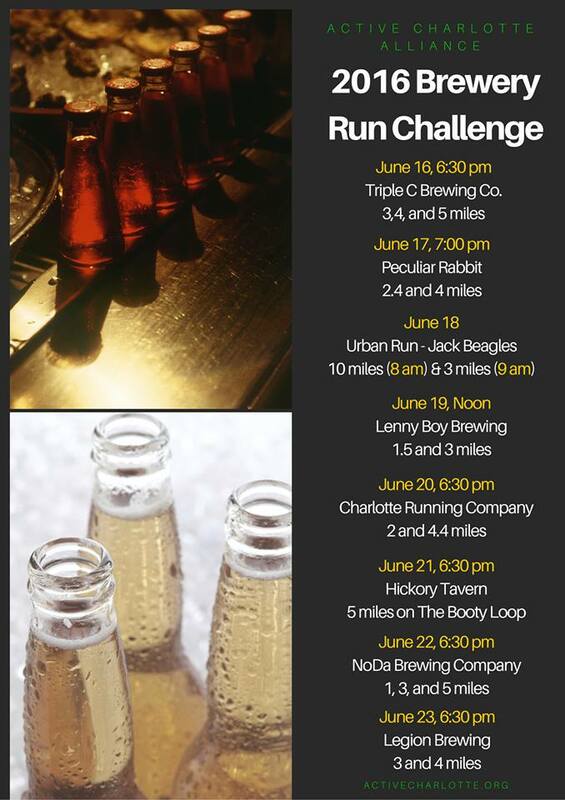 Home Food	Are you up for a Charlotte Run Challenge this June? Join Active Charlotte Alliance for our 2nd annual 8 Day Running Streak Challenge June 16-23. We are partnering up with several local breweries, B-Cycles, 26Brew, Viva Raw, and First Wind Cycling to get fit, have fun, get swag and win prizes. It’s so easy. 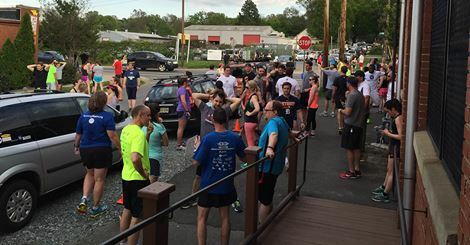 We meet up at local breweries and run clubs…and run. Then enjoy a post run conversation over an icy cold beer, water or Kombucha. We also vote on the best run. This challenge also provides a unique opportunity to explore different neighborhoods in the Queens City. Our 1st #ACARun was a sweaty success. High five to last year’s #ACARun winner Triple C Brewery for the best brewery run. Who will win the golden chalice this year? NEW THIS YEAR: Punch cards! Get a stamp for every run you attend and increase your chance of winning some swag. Who will make all 8 runs?! We have partnered up with our friends at Queen City’s very own bike share program, B- Cycles http://charlotte.bcycle.com to provide the water, smiles and swag. Viva Raw will be on site at some of our runs to dazzle your taste buds with fresh juice samples! Another new partner, First Wind Cycling and Fitness will provide our punch cards. Thanks to these amazing partners! All we need in June is YOU! How it works: The #ACARunMonth meet ups are scheduled each day in Charlotte Metro the week of June 16-23. See the schedule below. No imbibing required though. All ages and abilities welcome. This includes stroller runners and para and wheelchair athletes. Rain or shine. The benefits of beer. Ahh, that’s for another article by CA. 1. Running elevates your mood. 2. Running burns calories & sculpts muscle. 3. Running increases bone density. 5. Running improves critical thinking skills. Use hashtag #ACARunMonth when you run with us. Can’t make it for a brewery run? Tag us for any run you do that week or the entire month. Check the ACA Facebook page for details on where to meet your fellow ACA supporters at each run. 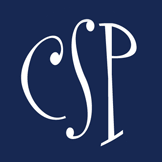 Triple C Brewing Company – Thursdays – 6:30 p.m.
2900 Griffith St, Charlotte, NC 28203. 3, 4 and 5 mile options. Peculiar Rabbit – Fridays – 7p.m. 1212 Pecan Ave, Charlotte, NC 28204. 2.5 and 4 mile options. ￼￼￼Urban Run – Jack Beagles – Saturdays – 8 a.m. and 9 a.m.
3213 N Davidson St, Charlotte, NC 28205. 10 mile at 8 a.m. (can be from 3-20 miles) and 3 mile at 9 a.m.
Lenny Boy Brewing – Sundays – 12 p.m.
2224 Hawkins St, Charlotte, NC 28203. 1.5 and 3 mile options. 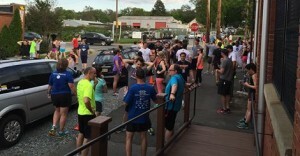 Charlotte Running Store – The “Fun” Hill Meetup – Mondays – 6:30 p.m.
1412 East Blvd, Charlotte, NC 28203. 2, 4.4 mile options. Hickory Tavern 5 on the Booty! Run – Tuesdays – 6:30 p.m.
1100 Metropolitan Ave, Charlotte, NC 28204. NoDa Brewing Company – Wednesdays – 6:30 p.m.
2229 N Davidson St, Charlotte, NC 28205. 1, 3 and 5 mile options. Legion Brewing “Legendary Legion Run” – 6:30 p.m.
Commonwealth Ave, Charlotte, NC 28205. 3 and 4 mile options.